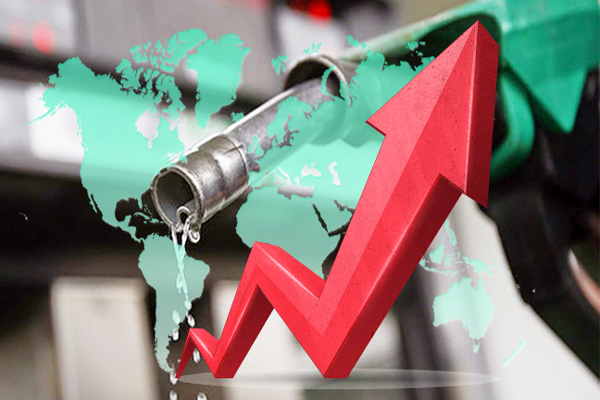 SINGAPORE, July 26, (APP/AFP) – Oil prices edged up slightly in Asia on Tuesday after tumbling more than two percent the day before, while a weaker dollar also provided support, although fears about a global supply glut are returning to the fore. After topping $50 a barrel early last month on the back of output disruptions, the cost of crude has tumbled about 15 percent in recent weeks as the crucial US holiday driving season comes to an end and global demand remains weak. Traders have been spooked since last week when the US Energy Information Administration said US inventories had fallen less than expected, and that petrol supplies had risen, despite it being peak season for demand in the country. An increase in the number of rigs coming online — meaning more production — has also dented prices. At about 0300 GMT Tuesday, US benchmark West Texas Intermediate was up 10 cents to $43.23 while Brent North Sea was up 18 cents at $44.90. Both main contracts tumbled Monday with crude touching a three-month low while Brent touched its weakest level since May. “You can’t ignore the size of the inventory overhang,” Evan Lucas, a market strategist at IG Ltd. in Melbourne, told Bloomberg News. The black gold plunged to near 13-year lows below $28 in February, as world markets were crippled by worries over China’s economy, weak demand, a global growth slowdown and a supply glut.